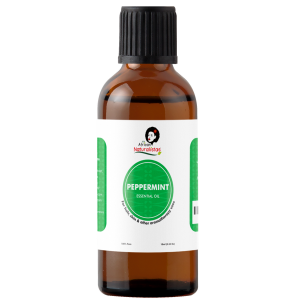 Peppermint Oil promotes hair growth, and has anti-dandruff properties. It relieves itchiness on skin and scalp. It is used to relieve muscle and joint pains, and as a natural bug repeller. Peppermint oil has calming, softening, toning and anti-inflammatory effects on the skin when it’s used topically. Peppermint oil also has antiseptic and antimicrobial properties.